Heather first learned about Restore small groups when she personally enrolled as a participant in “Journey to Freedom” on the suggestion of a fellow staff member at the YMCA. Seeking clarity and purpose in her ever-transitioning young-adult life, Heather found that with every group she did, another layer of introspection and “ah-hah” moments were revealed. Through the passionate pursuit of group, Heather knew she had uncovered the tools she would be using her entire life to embrace the women that God created. Heather began volunteering and facilitating with Restore until she got the life-changing opportunity to join Scott and the staff in 2011 as a group coordinator for the YMCA. 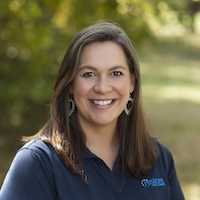 Heather now serves as the Director of Community Engagement for Restore Small Groups, spreading the story of small groups to future participants, faciltiators, passionate donors, organizations, and anyone wanting to know more about the small group process, and Journey to Freedom. Heather also oversees all curriculum development. Heather married her handsome husband Steve in 2013. They live in Nashville, Tennessee with their two sons, Thomlin and Lovell, and their dogs Lady and Frankie.